Have you wondered what great brands - such as Amazon, Starbucks, Apple, IBM and Zappos - do to consistently stand out in the marketplace? The answer can be found in Denise Lee Yohn's compelling new book titled WHAT GREAT BRANDS DO: The Seven Brand-Building Principles that Separate the Best from the Rest. Denise and I first connected via Twitter in 2010 over our shared interest in the customer experience. 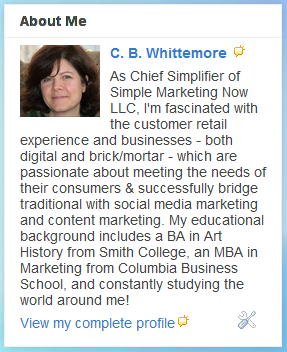 (Denise regularly inspires me with her many insights about great brands that delight customers.) We met in person at Columbia Business School's BRITE'11 conference in NYC and exchanged guest blog articles shortly thereafter. Here is hers about REI - another great brand you'll learn more about in her book: REI Makes Choosing Easy By Denise Lee Yohn. I recently caught up with Denise to ask her questions relating to What Great Brands Do. C.B. : Denise, tell me a little about yourself. Denise Lee Yohn: I love brands! Over the past 25+ years I have had the privilege of working on some of the world’s greatest brands including Sony, Frito-Lay, and Oakley. As an independent brand-building consultant, speaker, and writer, I help companies thrive and grow profitably and sustainably. C.B. : How did you come up with the premise for this book? Denise Lee Yohn: Many business people, including myself, admire great brands – long-lasting, valuable brands like Apple, Starbucks, and IBM -- and yet I found very little was understood about how to develop a great brand. I wanted to share the insights about brand-building that I had developed by researching and working on some of the worlds’ greatest brands – and to enable business leaders to build great brands for themselves. Ultimately it’s about elevating brand-building from a niche marketing function to the core driver of the business. C.B. : What are the 7 principles that epitomize great brands? These principles form an integrated, indivisible whole that great brands implement as a cohesive management approach in order to maximize the full power of them all. C.B. : Denise, some of these principles go against current business practices - for example, avoid selling products, ignore trends, don't chase customers. How do you get organizations to embrace these principles? What arguments do you use to convince them to see the light, change their ways and become a great brand? Denise Lee Yohn: If you want to stand out, you can’t do what everyone else is doing. Great brands, by definition, are extraordinary and they got to be so successful by doing extraordinary things. And the principles that separate great brands from the rest really do make a lot of sense when you study them. For example, “don’t chase customers” stems from the reality that it isn't financially or operationally feasible for a scaled enterprise to satisfy all desires of all customers. Companies that try too hard to serve all the different requirements of all their different customers end up with a form of organizational attention deficit disorder – lots of activity with little result. Great brands, in contrast, don’t squander their precious equity in efforts to appeal to elusive audiences. They project their brand identities intensely, consistently, and saliently, and attract customers who share their values. C.B. 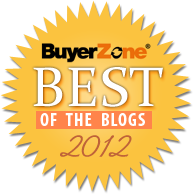 : Denise, which are your favorite great brand examples and why? One example is how it ignores trends. Chipotle got its start in the 90s when founder Steve Ells decided to ignore the low-priced trend in the fast food industry and offer a higher quality fare and experience. It seemed counterintuitive at the time (Taco Bell was making headlines with its 59/79/99 menu), but it paid off and the new business model ended up spawning an entirely new sector in the restaurant industry: fast casual restaurant. Instead of operating in reactive mode and following trends, Chipotle actually advances cultural movements. In recent years, its efforts to influence the quality and sustainability of the food sources in fast food, as expressed in its themeline “Food with Integrity,” have raised consumers expectations and have prompted many other chains to follow suit. C.B. : Is there an ideal timeframe for success in becoming a great brand? 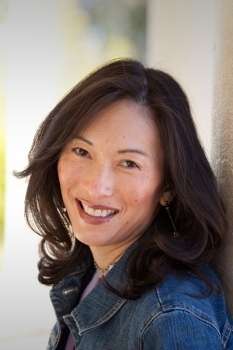 Denise Lee Yohn: Great brands aren’t built overnight – it requires consistent, deliberate action over time. But some results show up pretty quickly. After I worked with a multi-channel retailer on “sweating the small stuff” and implementing the Customer Experience Architecture tool which I explain in Chapter 5 of my book, it was able to implement some changes right away and produce its best sales month immediately following our work. C.B. : Denise, any parting words of advice? Denise Lee Yohn: In talking with business leaders around the world, I find it ironic that the very companies that could benefit most from these principles are the ones most resistant to it. They’ve become profitable without them and they’ve become blinded by their success. They take their brand advantage for granted, without questioning whether or not what got them there is what’s going to get them to the next level. And they tend to value advertising and traditional branding approaches despite these being notoriously unreliable at producing results. Then there are troubled companies whose leaders see the value of these principles but they’re too short on resources and stakeholder goodwill to be able to implement them. So the time to change is now. Not because your company is sick, but precisely because it's healthy. Choose to be great! C.B. 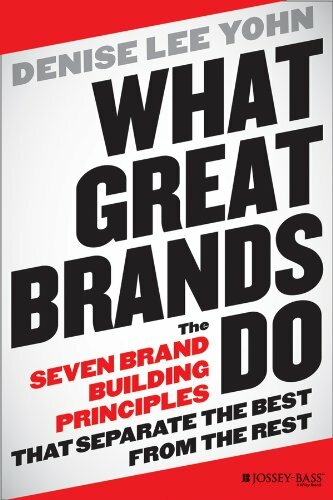 : Thanks, Denise, and congratulations on WHAT GREAT BRANDS DO: The Seven Brand-Building Principles that Separate the Best from the Rest. It's a terrific and inspiring read! What Great Brands Do is available from Wiley, Amazon, Barnes & Noble, 800-CEO-READ and Audible.com. It also inspired What Great Brands Do With Mission Statements: 8 Examples. Q&A with the author of new book, What Great Brands Do from Jackie Huba. Here's a 3:40 minute video of Denise Lee Yohn - Brand-Building Expert | Author of What Great Brands Do discussing IBM. What are your thoughts about great brands? Which are your favorite? What do they do, in your opinion, to justify being a great brand?